Construction of the new Costco Wholesale location in Clovis is set to begin next month. That’s the word from city economic development officials, who noted that the Shaw Avenue corridor east of Highway 168 is seeing its strongest growth cycle in decades. The new Costco will be located at the northwest corner of Clovis and Santa Ana avenues, just south of Shaw Avenue. 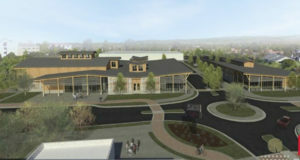 Totaling about 150,000 square feet, it will be 50,000 square feet larger than the location it is replacing at Ashlan and Peach avenues. The new Costco is expected to open in fall or late summer. Grading work on the property has already begun. Multiple hotels are also in the pipeline for Shaw Avenue in Clovis, joining an influx of retail and housing in the last 18 months. At the same intersection as the new Costco, a Home 2 Suites by Marriott, Residence Inn by Marriott and a Starbucks have been approved. Two more hotels, La Quinta Inn and Towneplace Suites are currently under construction nearby. 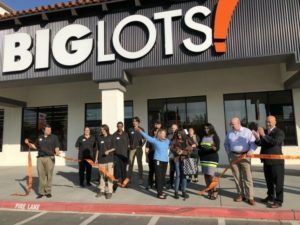 That activity joins a new RV Liquidators dealership, Big Lots, Planet Fitness as well as a total of 299 housing units along Shaw Avenue completed, being built or improved in the last three years. The activity has meant more work for the office of Planning and Development Services, which has been coordinating the fine details of each project in the face of tight deadlines. The effort hasn’t been lost on corporate site selectors.